Whether it be corrective, preventative or predictive maintenance, your equipment needs regular inspection and service to maintain its optimal level of operation. 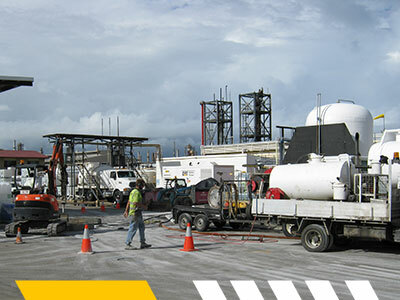 Our Services and Maintenance division is highly regarded and able to provide complete end-to-end service and maintenance to fit your technical and financial needs. We have a successful track record proven during the rigorous qualification process, with a particular emphasis on safety standards. Preventative and scheduled maintenance is essential for all electrical applications and our highly skilled technicians are equipped with the latest tools, apparatus and resources to deal with your planned power supply requirements, emergency breakdowns or ad-hoc service needs. From individual call outs, full-site facilities management, or electrical, mechanical, automation and systems integration – we can provide a tailored program to suit your specific, operational and financial needs. To ensure your maintenance and service is conducted in the optimal way, our experienced technical and support staff are all trained, qualified and audited along with our accredited integrated management systems, to deliver an efficient and precise solution. Find out more about Brimar’s Customer Support Agreements (CSA) for all your Service and Maintenance needs.